The Restless Legs Syndrome Foundation is a nonprofit 501(c)(3) agency that is dedicated to improving the lives of men, women, and children who live with this often-devastating disease. The organization’s goals are to increase awareness, improve treatments, and through research, to find a cure. 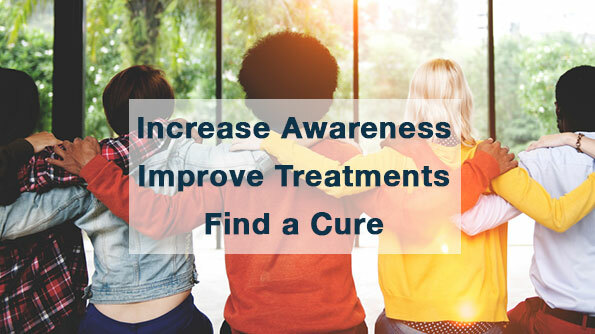 The Restless Legs Syndrome Foundation is the leading organization for science-based education and patient services for people suffering from restless legs syndrome. It is also the only organization with a dedicated research grant program to advance promising research leading to new treatments and a cure for RLS. Since its inception in 1992, the Foundation has provided over $1.6 million in support of RLS research, and has grown from a small group of volunteers meeting around a kitchen table in Raleigh, North Carolina into a bustling organization with full time staff and an office in Austin, TX. RLS was regarded as a “rare” condition when we began, but our understanding of the disease has changed drastically. We now know that the condition is not rare at all. In fact, recent research suggests that up to 7-8 percent of the general population has this neurologic condition. It is perhaps the most common condition you have never heard of, affecting more people than even Type 2 Diabetes. “The work we do is only possible because of the dedicated people who make it so. Our knowledgable staff, Board of Directors and Scientific and Medical Advisory Board represent a wide cross section of doctors and healthcare providers, RLS patients, scientists, consultants and non-profit professionals.